Orica-GreenEDGE dominated the opening team time trial stage to put birthday boy Svein Tuft into the maglia rosa. But in front of enthusiastic Belfast crowds, who were undeterred by rain which began to fall shortly after the start, Irish star Dan Martin slid out on the wet roads and was forced to abandon with a collarbone injury. Look! 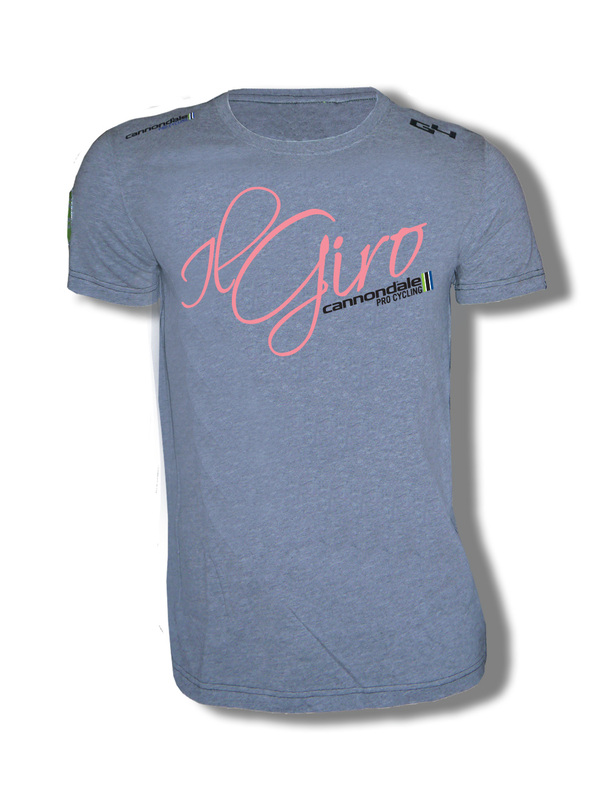 It’s a limited edition Cannondale Giro teeshirt! The 97th Giro starts with two stages in Belfast, Northern Ireland, before stage three makes its way to Dublin, the capital city of the Republic of Ireland. As with all Grande Partenza weekends, fans who are lucky enough to be there in person will enjoy a festive atmosphere (even if it rains!) and plenty of opportunities to meet the cyclists. Throw in a few pints of the black stuff and it’s a party.